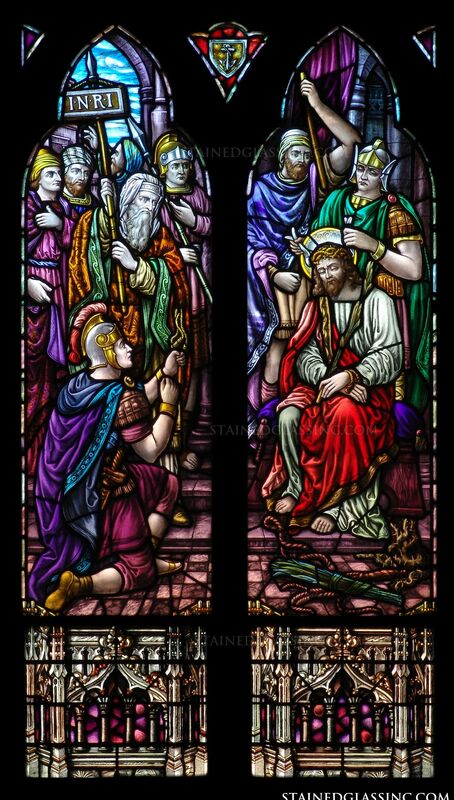 The Roman guards mocked Christ and crowned Him "King of the Jews" with a crown they had made out of thorns. 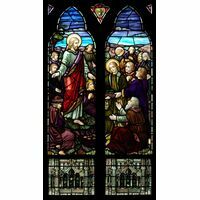 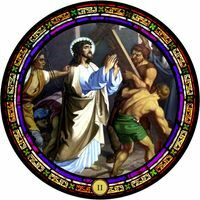 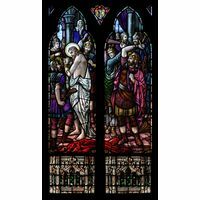 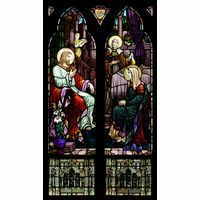 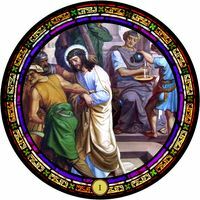 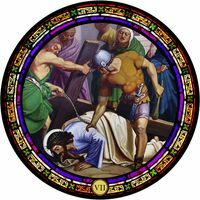 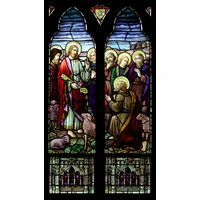 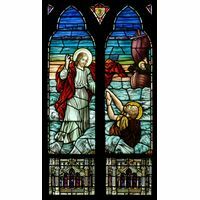 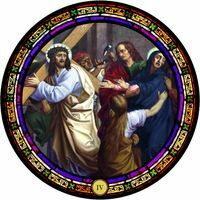 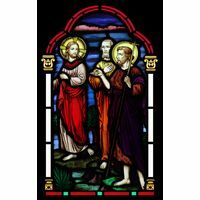 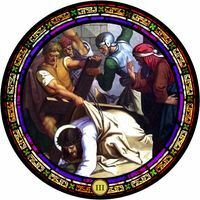 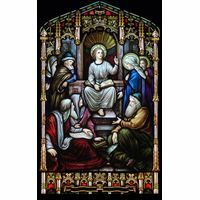 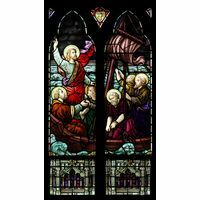 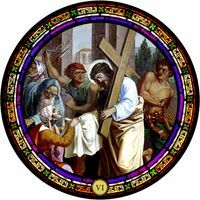 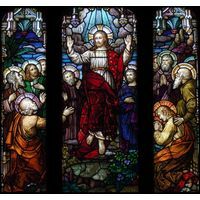 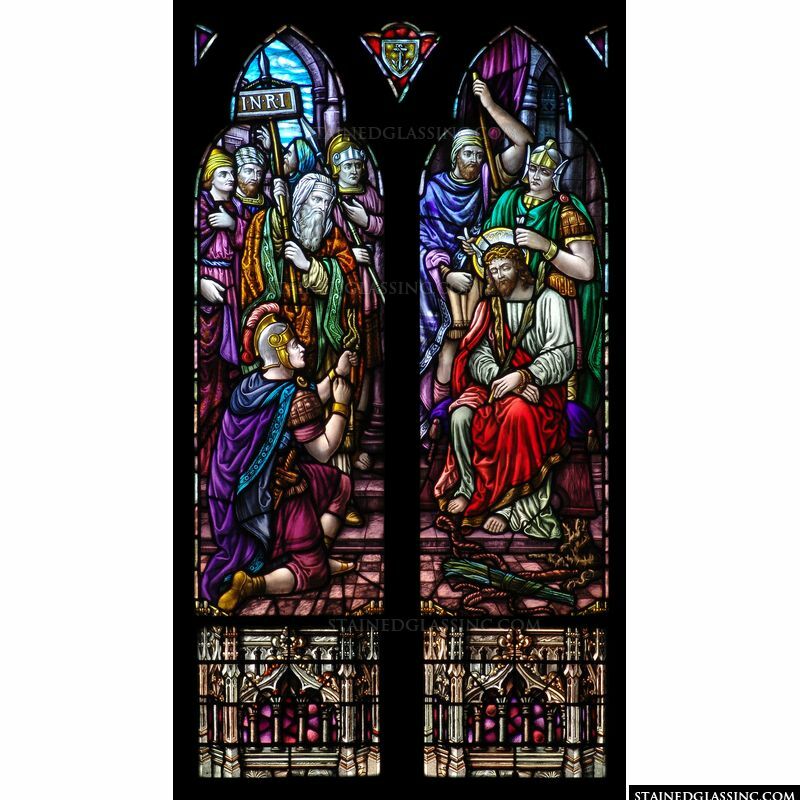 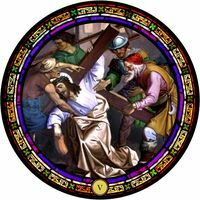 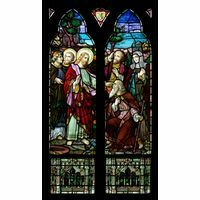 Heart rending and awe inspiring, this important event in the life of Christ is depicted here in an exquisite stained glass design, fashioned in the classic style of old world European cathedral stained glass. 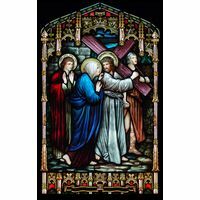 Shot through with rich, vibrant hues that cross the full palette of color, the realistic, moving imagery in this work of stained glass art brings it to life for admirers, dazzling the eye and stirring the soul. 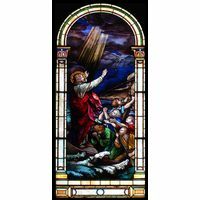 Naturally varied textures pick up and reflect rays of sunlight, candlelight and firelight that dance across the surface in shifting shades and patterns throughout the day, casting an ethereal glow into every corner of placement, church, chapel or cathedral, or for home or business decor.